How much are you willing to sacrifice convenience for security? Trying to steal this bicycle or take off a part of would be time-consuming even for a professional thief given the many locks used simultaneously. 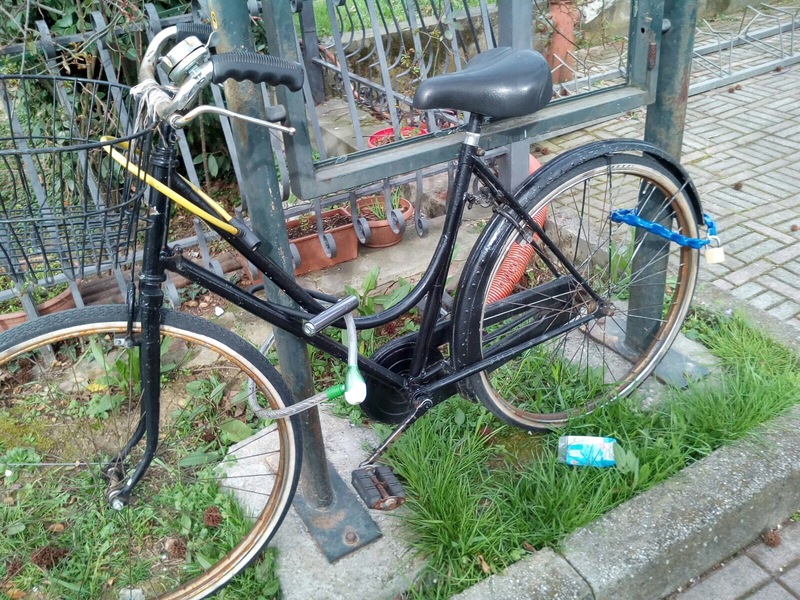 But it could also be said that the owner of the bicycle would take a long time to open all the padlocks with the different keys! Viro Van Lock does not make you choose between convenience and security because it combines them: it not only provides additional protection to the standard padlock, but it is also much more convenient to use. Let’s see why. 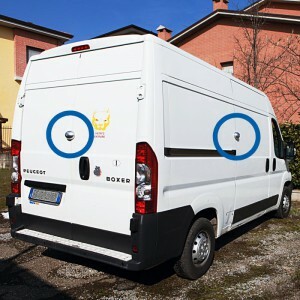 When it is opened it remains attached to a door of the van and there is therefore no need to remove it and replace it every time that the door is opened, as is the case with normal padlocks. 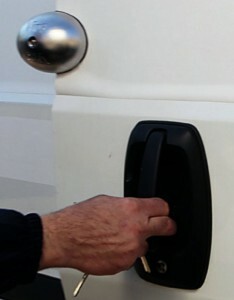 Van Lock closes automatically when pushed, locking the door on which it is fitted. Also, it cannot be left open by mistake, since the key can only be pulled out when in the locked position. On the other hand, if it is necessary to keep the lock always open (during, for example, repeated loading and unloading operations), this can be done with the key inserted and fully turned. Thanks to the internal safety release system, it is impossible to remain accidentally closed inside the load compartment (due, for example, to a gust of wind blowing the door shut), since the lock opens from the inside simply by pulling the special wire fitted with a knob. 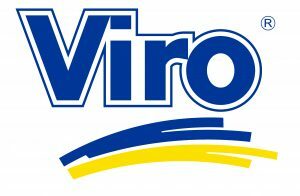 Viro Van Lock can be fitted either on the rear hinged doors, on the side sliding doors or on all the doors. In the latter case, pairs or trios of locks can be purchased which open with the same key (KA system). For particular requirements, one can request all the special designs for the cylinder, such as the master key systems (MK). adhesive, anti-scratch, rubber gasket to protect the van paintwork. The adhesive template is applied on the doors. Holes are drilled in the doors where indicated by the template, which is then removed. gasket and any shims which are necessary (also provided) between the plates and the bodywork. The body of the “Viro Van Lock” is attached to the trapezoidal-shaped plate (right in photo), equipped with the special hook. The body is fixed from the inside with 2 screws (provided), and the wire is inserted which, together with the knob, constitutes the internal release mechanism. The “Viro Van Lock” installation phases. 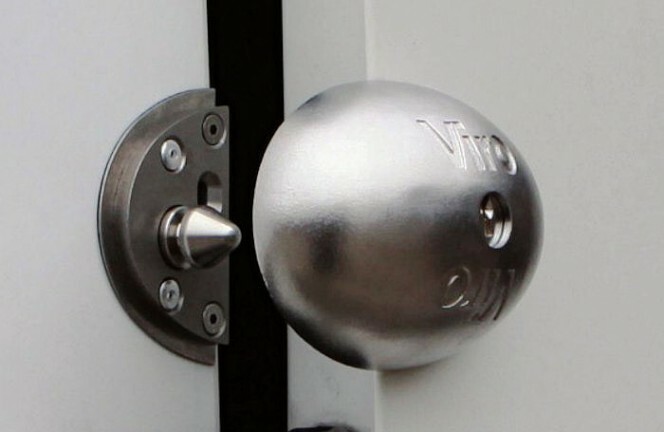 Ease of installation, along with versatility of application and ease of use are the features which, together with the essential security, distinguish the Viro Van Lock! In a future blog we’ll see how, by using a practical accessory kit, the Van Lock can be ideal for securing not only vans but also trucks and containers.